The Link is like your own personal caddy, attaching to your golf cart. It is manufactured with high impact polypropylene and reinforced with fiberglass to assure long lasting customer satisfaction. Think of The Link as your own personal caddy, just a little more budget friendly. 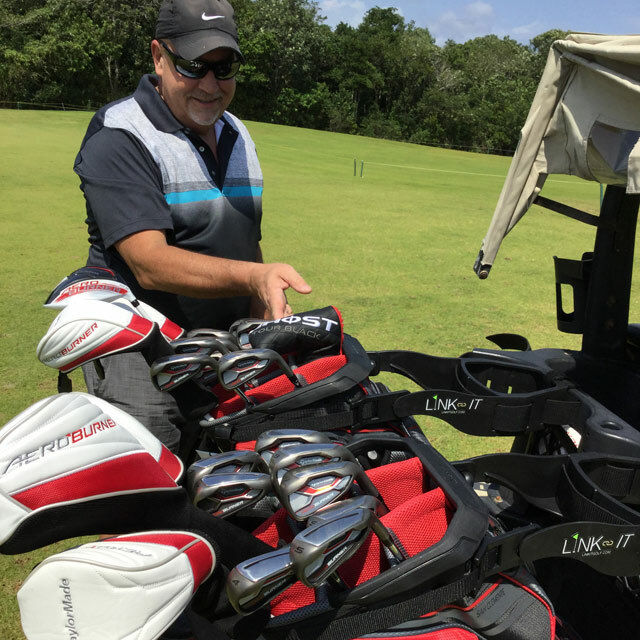 Your personal caddy will allow your clubs to lie at an approximate 30 degree angle, preventing nicks and scuffs on your club heads and reducing the noise pollution from clubs rattling and clanging against one another. Access all of your pockets on all your golf bags including STAFF Bags. No straining or stretching overhead to remove or replace golf clubs. 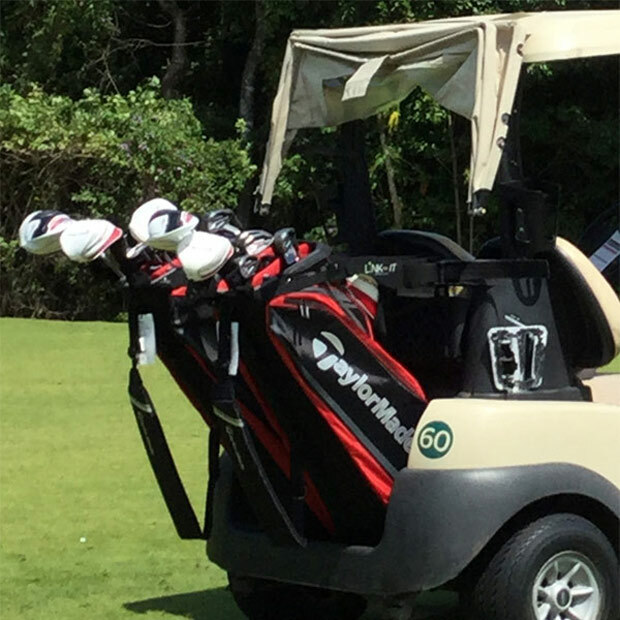 Your golf bag is at a slight angle, allowing easy accessibility to all of your clubs. 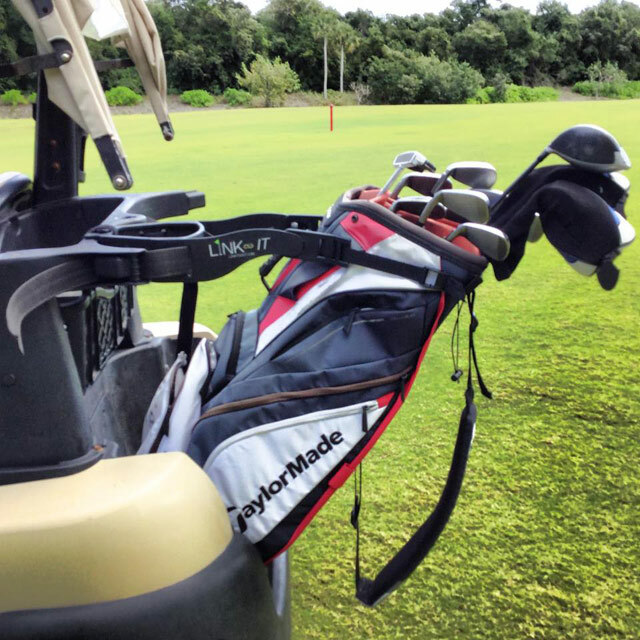 Your golf clubs stay organized and easy to view, leaving less chance of leaving your favorite club behind. Less stress and damage to your clubs as the angle reduces bouncing and banging. 3 part attachment attaching securely to your cart. Never have your golf bag fall off the golf cart again.